Monique Minnis has over 20 years of experience as an accounting professional. She brings to Sagoma a wealth of knowledge regarding the unique aspects of the construction industry, which is instrumental in the daily management of the company financials. Monique experience and knowledge of the industry covers areas of hospitality, heavy industrial, educational facilities, custom homes, and private island resorts. Monique’s high level of integrity and dependability, coupled with her sense of urgency and her results-oriented approach, distinguish her as a key member of the executive management team. 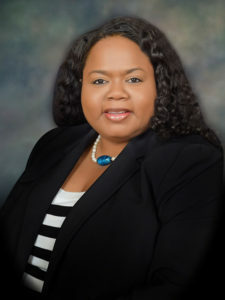 In her role as Chief Financial Officer, Monique is accountable for the administrative, financial, and risk management operations of the company. She led efforts to develop and implement the financial and operational strategy of the company in its early days, and now oversees and monitors its control systems to ensure the company’s assets are preserved through accurate financial reporting. Monique’s dedication to implementation of the programs and practices ensures the company of a continuously sound financial accounting structure. Monique holds a Bachelor of Science Degree in Accounting from Barry University, Miami Florida.